• Remove the liner cap. •Unscrew the valve cap with caution. • Press the tip including the cellular valve cap foam (be aware that both will be soaked with colour). 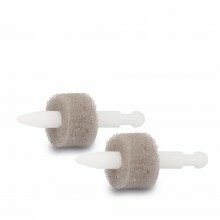 • Reassemble the new tip and the cellular foam, then insert the tip (in forward direction) into the valve cap. • Afterwards reassemble the valve cap and the liner cap. 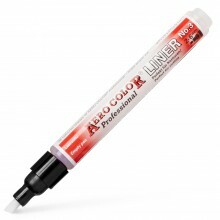 Aero Color Professional liners allow the application of Schminke Aero Color products without the use of an airbrush. 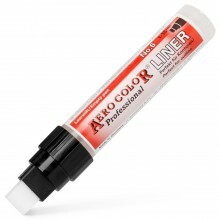 Aero Color liners come in six different nib sizes/styles ranging from 0.8 mm to 15 mm. 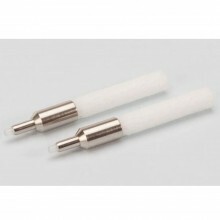 The empty pens can be filled simply by removing the cap and filling the valve with an eyedropper. All Aero Color shades come in tough 30 ml pipette jars, so that the product can be transferred without spillage to any Aero Color liner pen. The colour range is made up of 36 different hues that can be mixed before adding to empty Aero Color Professional liners. The labels of the pens include a small blank frame in which you can note the number of the colour in use. Aero Color liners can be used on surfaces as diverse as paper, canvas, wood, primed metal and primed plastic. Do not store Aero Color Professional colours under extreme cold conditions. These refill tips go with Aero Color ink and Aero Liner Pens. However, you can also easily refill them with liquid acrylic colour of any brand with your favourite custom mixes of inks to get your perfect consistent shade.